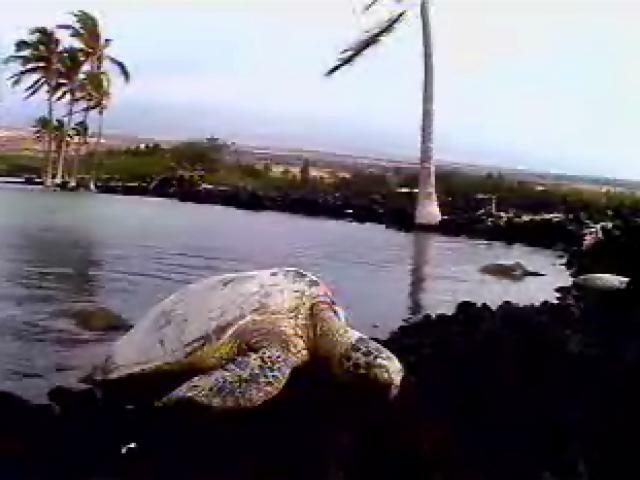 Few people have been lucky enough to see a live Hawaiian green turtle. Fewer still have gotten much more than a fleeting glimpse. That's because sea turtles spend nearly all of their lives in the water and out of sight. Only when the females crawl ashore to nest can people get a prolonged look at one of nature's most magnificent creatures... until now. 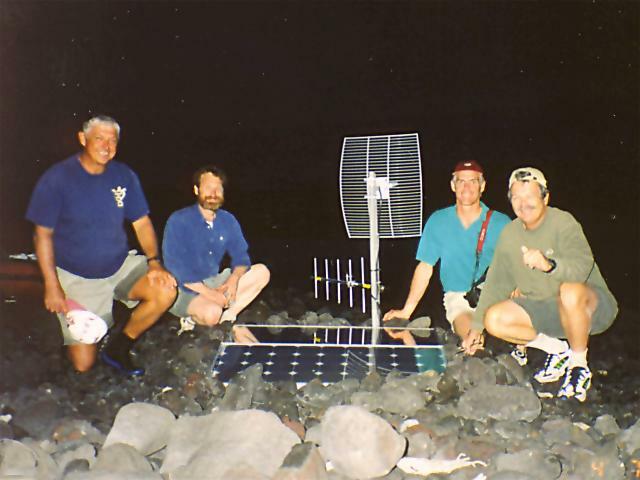 The SeaTurtleCam Team, left to right: Marc Rice, Daniel Zatz, Bill Hagey, George Balazs. Unlike sea turtles anywhere else in the world, some Hawaiian turtles crawl onto the shore to bask in the sun. No one knows why they do this, but the fact that they do has led to an exciting project. The Hawaiian SeaTurtleCam not only will advance our understanding of sea turtles and their behaviour, it also allows us to sit at home and watch them ourselves! All you need is Windows Media Player, then you can head off to SeeMore Wildlife Systems to see which turtles are catching rays today. Don't miss our SeaTurtleCam page for kids of all ages. Also, try our SeaTurtleCam Challenges. Can you spot Peamikia'o? Read the abstract for the SeaTurtleCam poster presented at the 20th Annual Sea Turtle Symposium. Also see the Balazs-Murakawa marine turtle basking bibliography. Learn more about how the SeaTurtleCam got started at Hawaii Preparatory Academy.